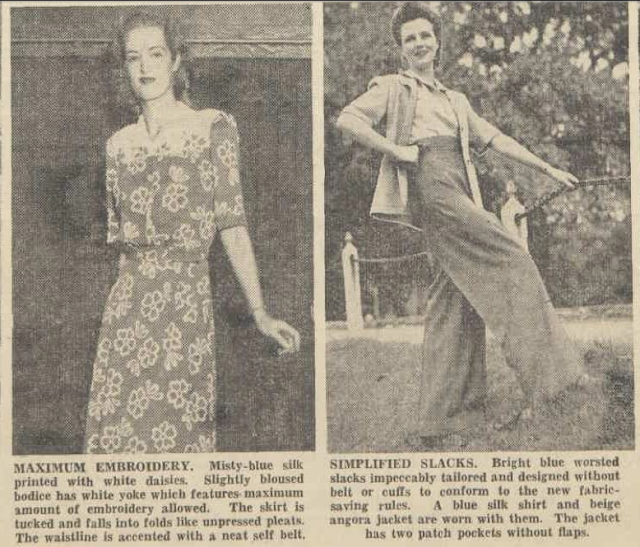 Have you ever wondered why the 40's garments had less details than in the 30's? 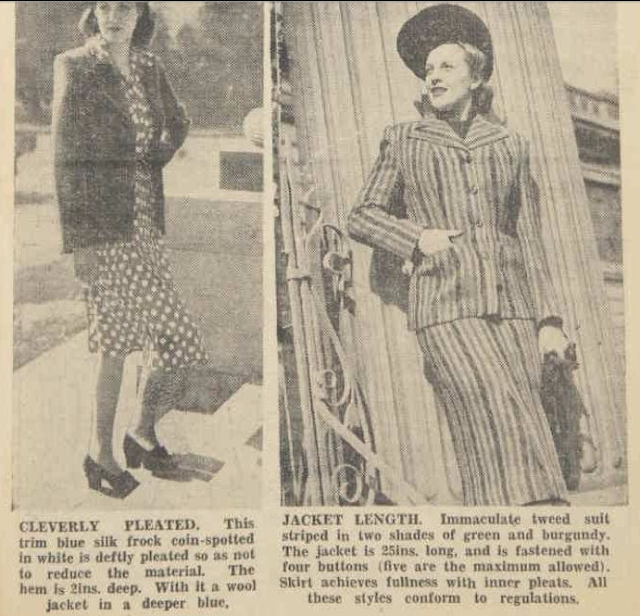 Why the 40's jumpers were so short? Why the A-line skirts were the fashion of the day? Let's talk about the wartime restrictions of World War 2. 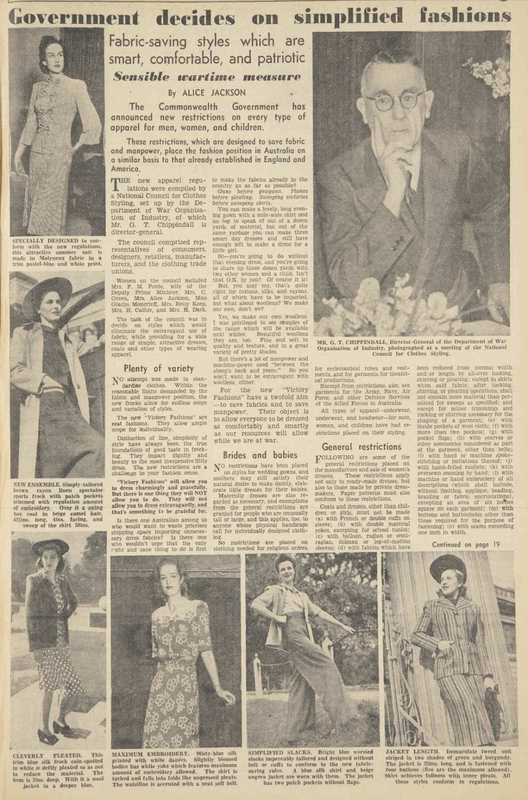 Called 'Victory fashions' the fabric and clothing restriction rules were designed in the early 40's to save fabrics and save manpower. 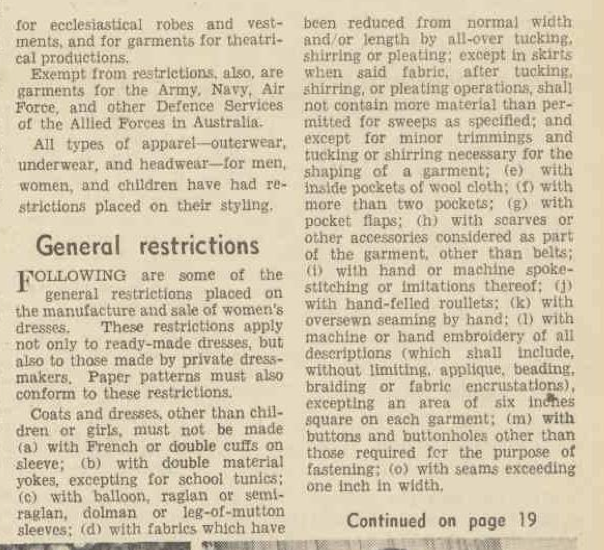 Interestingly, the restrictions were not only applied for ready-made clothing items but for home-made items too. At first sight there were a huge amount of restrictions, starting from specifications on the length and width of garments to details like the amount of buttons and the width of hems. As always, there were two sides of every story. 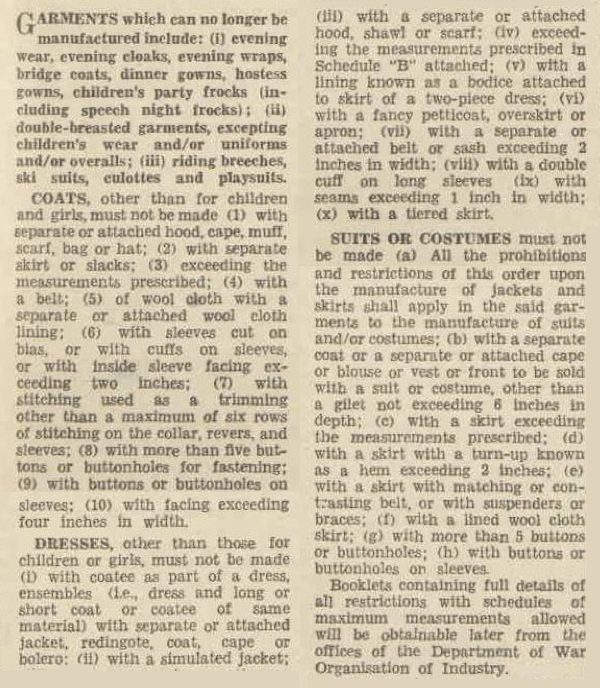 On one side it was a sport to find ways to make the most of your wardrobe while obeying the rules, but on the other, it must have been really hard for mothers to have enough items to dress their fast growing children. Scroll down to read the article. 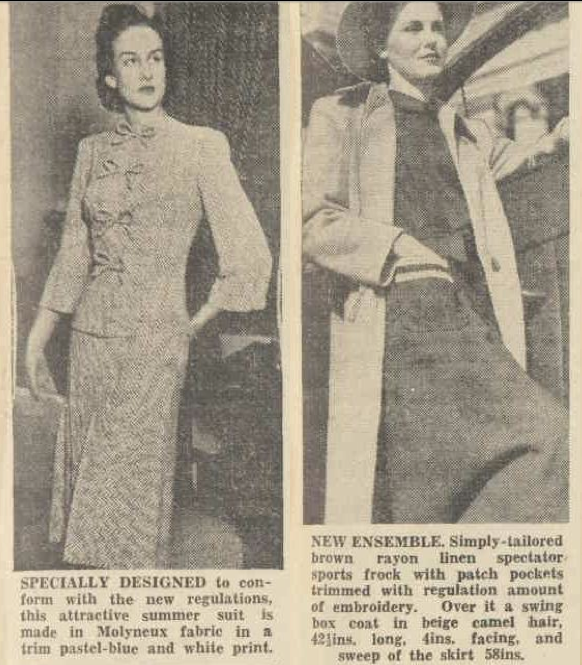 ...that it was forbidden to place more than two pockets, pocket flaps and more than 5 buttons on a suit? There were restrictions on using more tucking and shirring than required to fit the garment properly, and the amount of embroidered details was limited to no more than 6 square inches (=15 cm2)?